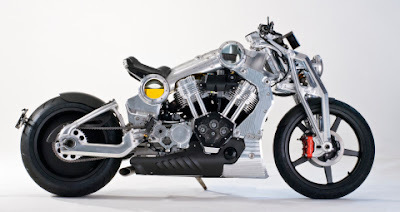 Confederate Motorcycles a world exotic motorcycle manufacturer has just included one of its most advanced motorcycles, the Confederate P51 Combat Fighter, to take part in the latest movie Transformers: The Last Knight. Yes, this global luxury brand says that the motorcycle that joined the acting role as Mohawk who is one of Decepticon figures in the film. "Fighter is a powerful pure positive energy, so its transformation into a logical and exciting bike fighter," said Confederate Motorcycles CEO H. Matthew Chambers, as quoted by Bussinesswire on Tuesday, June 22, 2017. Of the 61 Combat Collection special editions, each made by hand by Confederate's highly-skilled master craftsmen at its headquarters in Birmingham. Until now only two remain available for reservation along with the Transformers: The Last Knight is being aired in cinemas all over the world.